The 11th National Apprenticeship Week (NAW 2018) will run from 5 to 9 March 2018. Search our online map to find more information about National Apprenticeship Week events happening near you. 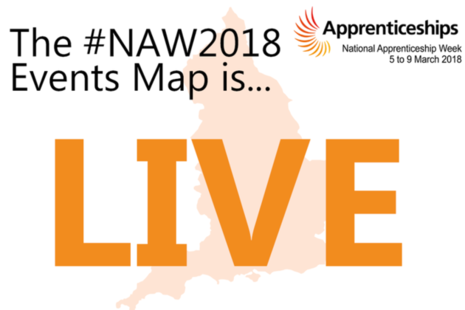 If you are running an event for National Apprenticeship Week, please submit information using our online form so that we can include it on our events map and let everyone else know what you are doing.